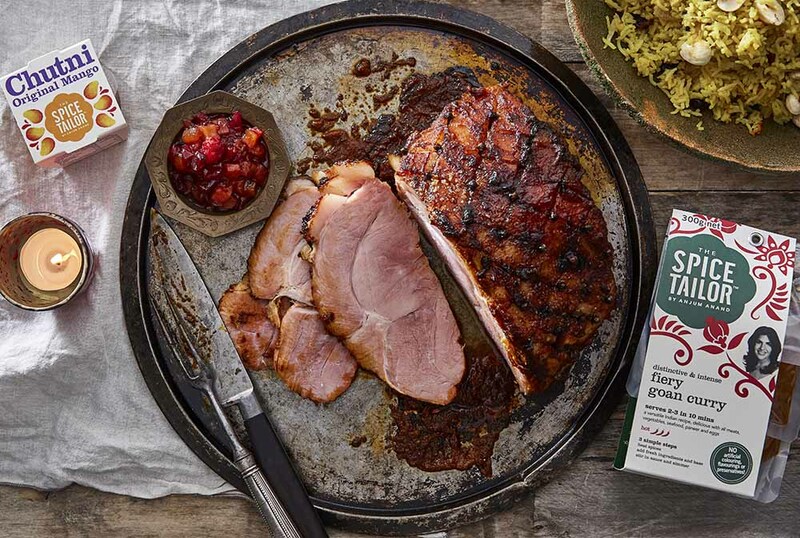 Give your Christmas Ham a fiery Goan glaze! 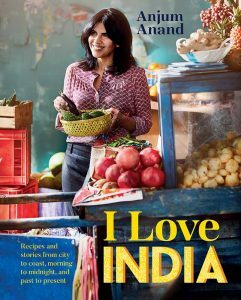 Mix the fiery Goan sauces together and take ¼ out and mix with the 2 tsp of demerara sugar. Mix well and keep aside. With the remaining sauce, mix with the water or stock. In a roasting tin, place the gammon joint and pour the sauce/stock mixture over and cover with foil and place into the oven and cook for 1¼ hours. Remove from the oven and leave to sit for 10mins. Increase the oven heat to 200C. Using a small knife gently remove the skin of the gammon, and score the fat of the gammon into diamond shapes and glaze with the ¼ sauce mixture. Stud with the whole cloves in between the diamond edges. Sprinkling with the extra ½ tsp sugar all over the glaze. Place into the hot oven and cook for a further 30 -35 mins until the top is nicely glazed.